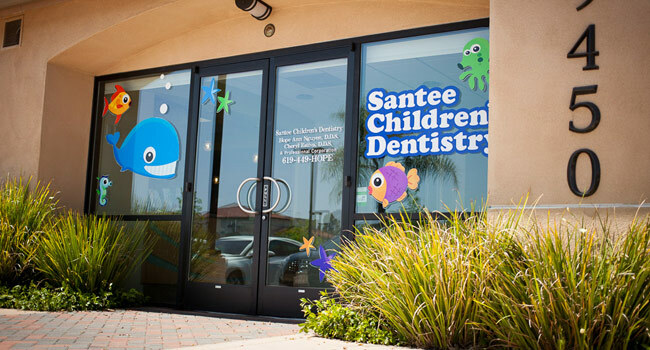 The Santee Children’s Dentisry website is for informational and educational purposes only. Diagnosis or treatment cannot be provided from this site as there is no doctor/patient relationship established in doing so. The information contained within this site should be used in consultation with providers of your choice as needed. No guarantees or warranties are made regarding any of the information contained within this website. This website is not intended to offer specific medical, dental, surgical or legal advice to anyone. This website and the Doctor’s from Santee Children’s Dentistry take no responsibility for websites hyperlinked to this site and this does not imply any relationships or endorsements of the linked sites. The information and names within this web site are subject to Copyright© and TradeMark™ protection with All Rights Reserved.